Item # 302069 Stash Points: 9,995 (?) This is the number of points you get in The Zumiez Stash for purchasing this item. Stash points are redeemable for exclusive rewards only available to Zumiez Stash members. To redeem your points check out the rewards catalog on thestash.zumiez.com. 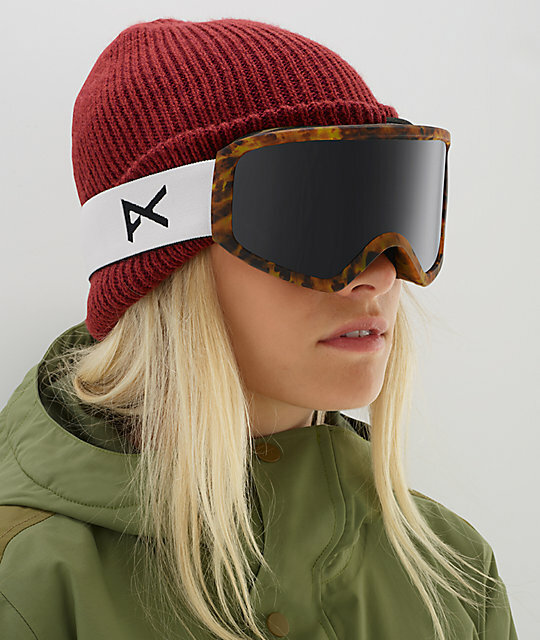 Stay stoked on the mountain with the sleek style and ultimate clarity of the Insight Tort & SONAR Smoke Snowboard Goggles from Anon. 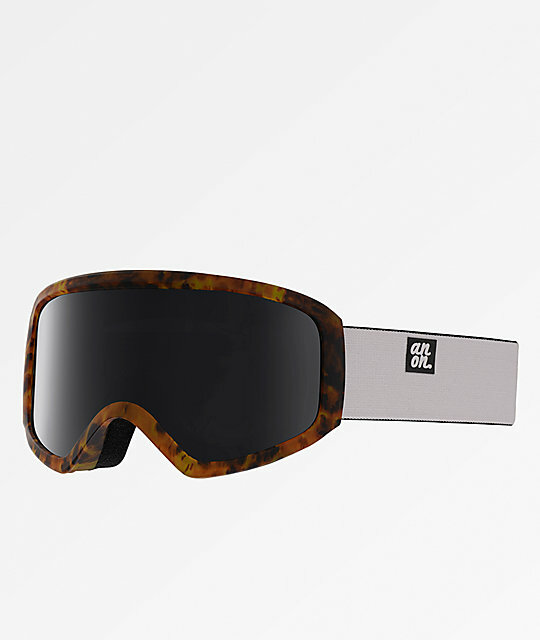 This women's specific goggle features a brown, tortoise frame and a white strap with black logos throughout. Two SONAR lenses by ZEISS are included; a darker smoke colored lens for brighter days, and an amber lens for cloudy and low light days. Full perimeter channel venting keeps air flowing for clear, fog-free days, while a microfiber goggle bag is included to keep your goggles clean and safe on the off-days. 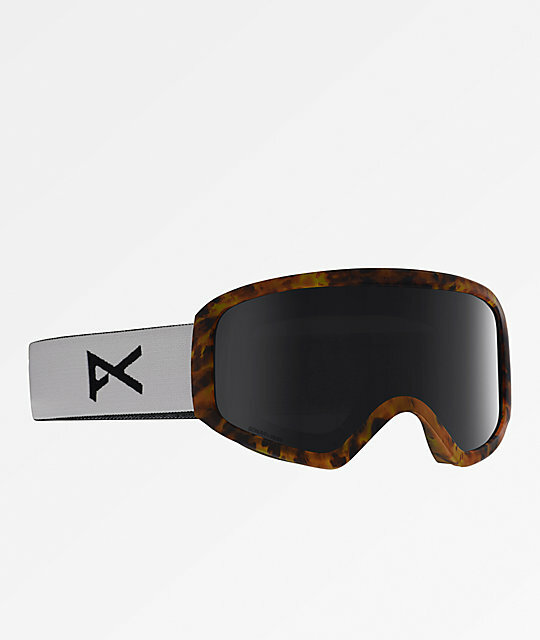 Insight Tort & SONAR Smoke Snowboard Goggles from Anon. Durable & flexible lightweight thermoplastic polyurethane construction (TPU) for an optimal & adaptable fit. Brown tortoise frame with white logo strap. Frame Height: 87mm / Size: Women's specific fit & design. Cylindrical Lens Technology: Anon's cylindrical lens construction uses asymmetrical injection methods making the lens thicker in the middle and slimmer towards the sides for optimal distortion-free vision and peripheral view. SONAR Smoke by ZEISS: Black/dark grey base tint reduces glare and offers a Visual Light Transmission (VLT) of 7% making this lens ideal for bright lighting including partly cloudy to bluebird conditions. Spare lens included: Amber tinted lens with 55% VLT for partly cloudy, flat lighting and dark cloud coverage. ICT (Integral Clarity Technology): Anon applied an anti-fog treatment to the lens so the goggles stay clear even in the gnarliest conditions. Full Perimeter Channel Venting: Maximizes airflow to prevent fog and sweat from accumulating on the lenses. Includes silky microfiber storage baggy. Dual layered foam backed with moisture-wicking fleece is comfortable on the face, breathable and fast-drying. 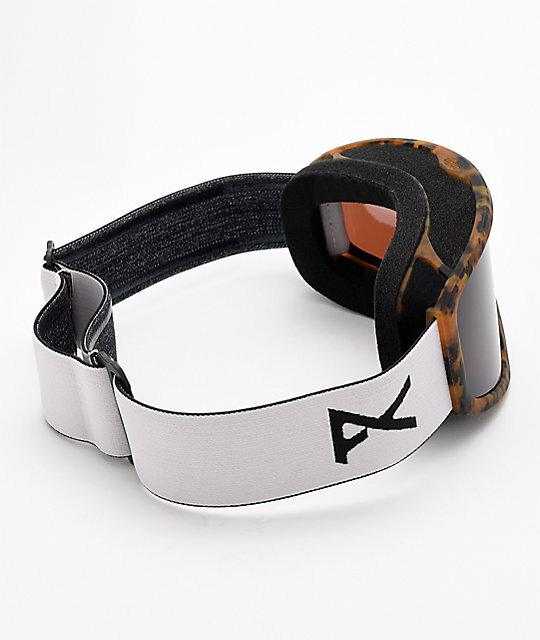 Adjustable stretch webbing strap with silicone grip for secure fit. 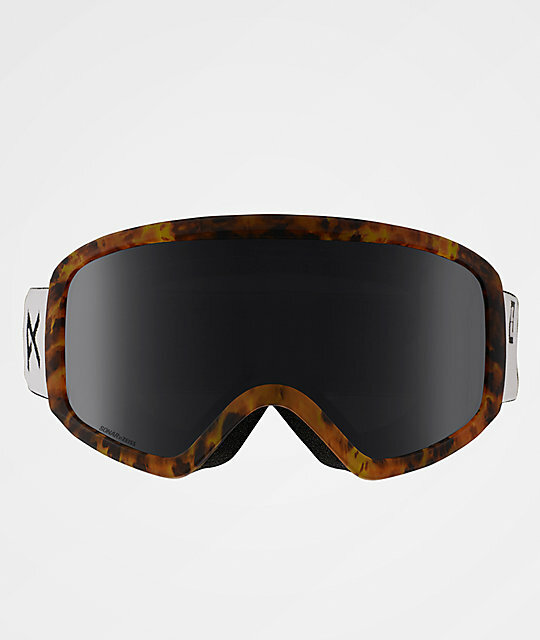 Compatible with most snow-sport helmets & can be worn over most prescription glasses.